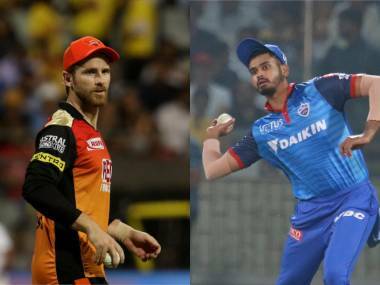 New Delhi: Shikhar Dhawan and Kane Williamson shared an unbeaten 176-run stand to overshadow a breathtaking hundred from Rishbah Pant as Sunrisers Hyderabad sailed into the Indian Premier League play-offs with a commanding nine-wicket victory over Delhi Daredevils in New Delhi on Thursday. Delhi's 187 for five was a challenging target but Dhawan (92 not out off 50 balls) and captain Williamson (83 not out off 53) ensured Sunrisers sauntered home in 18.5 overs. 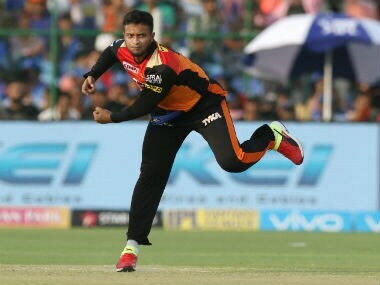 Sunrisers' brilliant performance came after Pant's maiden IPL hundred, an epic 128 not out off 63 balls which was not enough to arrest his team's slide. Delhi had crawled to 52 for three in 10 overs but Pant's power hitting quickly changed the course of the game. He reached the 50-run mark with his trademark hit, a six over midwicket off Shakib. 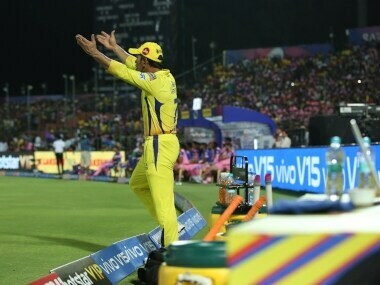 He got to the 100 in a similar fashion, muscling a full toss from Kaul over midwicket. Pacer Kaul too had a forgettable outing as he conceded 48 runs off his four overs.